Leave a comment on THIS post through Tuesday, July 4, 2017 to be entered in the DRAWING for a copy of the book below. If you mention in your comment that you’re a follower (see in the left sidebar “Join This Site” and “Follow by Email”), I'll add your name a second time in the drawing. U.S. mailing address required to receive a paper book. I may or may not have read books offered for giveaways. The mention and giveaway of books on my blog does not in any way indicate any manner of my endorsement of said books. Read book giveaway details at Disclaimers. To provide you security, please leave your email address like this: johnATyahooDOTcom. Winner announced in next Thursday's blog post. series as well as Person of Faith. 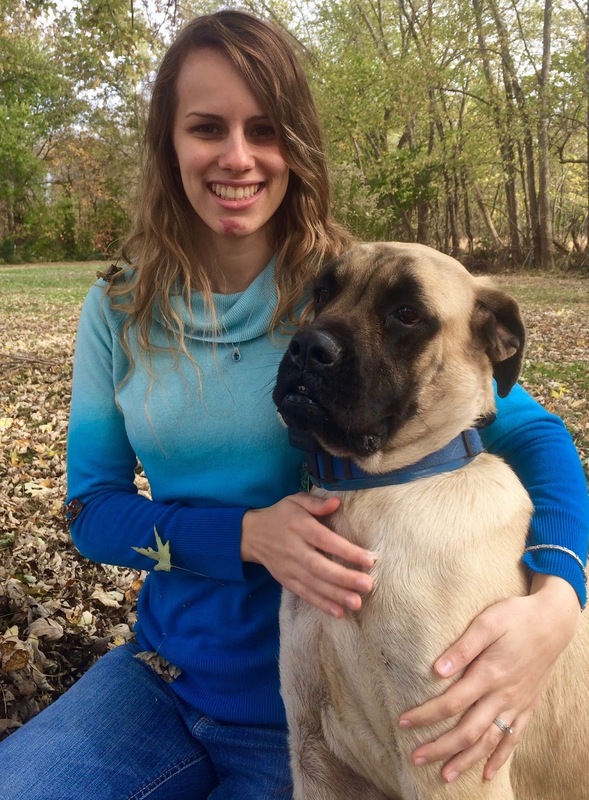 She enjoys hanging out with her dashing husband, J. Lindsey Marshall, their saucy cat, Amerigo Vespucci, and their playful Mastiff puppy, Mini. She loves all animals but is a horse fanatic. Grace has lived in Wisconsin and Illinois, and currently resides in the Missouri hills. She believes in living life to the fullest and can’t wait to see where God will take her or have her write next! Welcome, Grace. If you could have dinner with one person from today or history (except Jesus) who would it be? Why? C.S. Lewis. He’s my inspiration as an author. Although he’s popular for the Narnia series, he’s also written so much more! He has written so many good books, fiction and non-fiction, and he wasn’t afraid to make a point, get intellectual, explore the truth, and approach things from a different perspective. I find his writing fascinating. Since becoming married I’ve given into my desire of living life as an adventure. Together my husband and I passed up the opportunity for long term job security in my parents’ business for the penniless allure of the ever-changing journey of writers. I’ve always been somewhat wild, riding horse without saddles or bridles, and also riding motorcycles, which I convinced my husband to learn to drive as well. So pursuing the wild career of an author just seemed to fit! Being able to try and make a difference in people’s lives and minds. I want to make my readers laugh, cry, love, hope, and remember God is in control. Being able to present lessons and moral trials and to write encouragement for the world, or at least those who pick up my book, is my favorite part of the writing journey. The third book in the Horse Haven series, Forward Through the Fertilizer, which is scheduled to release this September! In this next book, life in Missouri continues to wrangle with Ruth, forcing her to press on through the challenges of a brother that seems intent on blocking her love life, an unexpected conception, and a tragic illness that has everyone panicked. I’d love for readers to join me on this next adventure! comes to the ranch there seems to be two warts. The attitudes and temperatures of southeast Missouri starkly contract the suburbs of Milwuakee, Wisconsin, but Ruth doesn’t have time to adjust before her father holds an open house for their horse ranch, Meredith Meadows. Ruth’s overbearing older brother seems to just add dangerous sparks to her frustration as she tries to figure out who she has to be nice to and who she actually wants to be nice to. At first, the horse lessons on the ranch start making Ruth feel as if she is back in her comfort zone until she gets tossed by one of the horses. Sometimes the best way through life is to laugh through the tears, warts, and her own attempts to mow the grass in a straight line. Grace, thanks for visiting with my readers and me. 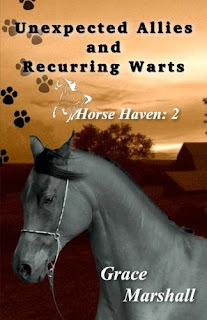 Grace is offering winner’s choice of a paperback or eBook copy of Unexpected Allies and Recurring Warts (Horse Haven book 2) to one commenter to this blog post. Commenters, to enter the book drawing please leave your comment on this post through July 4, 2017 and remember to leave your email address so I can contact you if you’re the winner. The winner of last Thursday’s blog post for a copy of Echoes of the Heart by Donna Schlachter is Lori. I’ll email you. Thanks all for commenting. Watch for more book giveaways. 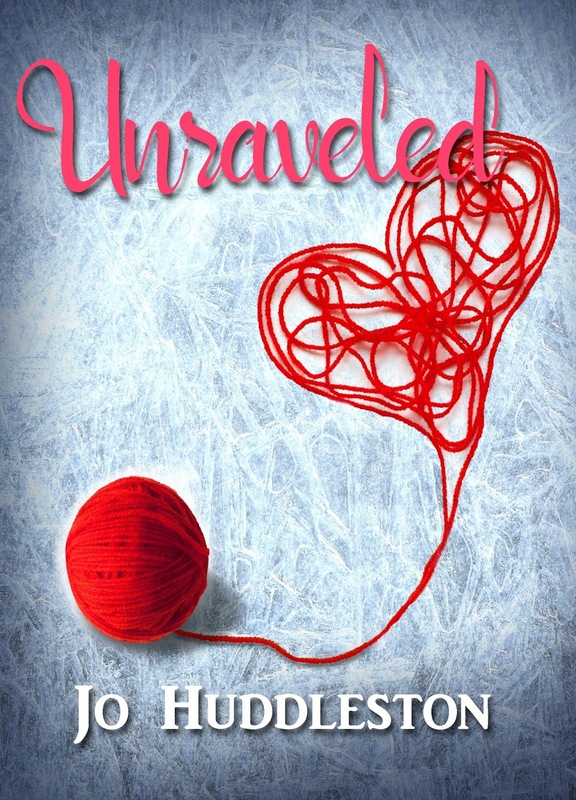 My latest book has released - Unraveled, a novella. Here is the cover, and you can read more about the book here. You can read the first chapter of the book on my website. I am always looking for new authors and your upcoming book looks like a wonderful read. I happen to like horses and I would love to ride one again, I have been on a horse before and liked riding it. Andrea, thanks for coming by and leaving your comment. Shelia, I appreciate you following my blog and thanks for commenting! Darcy, thanks for stopping by and leaving your comment. I love animals especially horses and dogs. I would love to read and review on my blog. Grantham, thanks for coming by and leaving your comment.